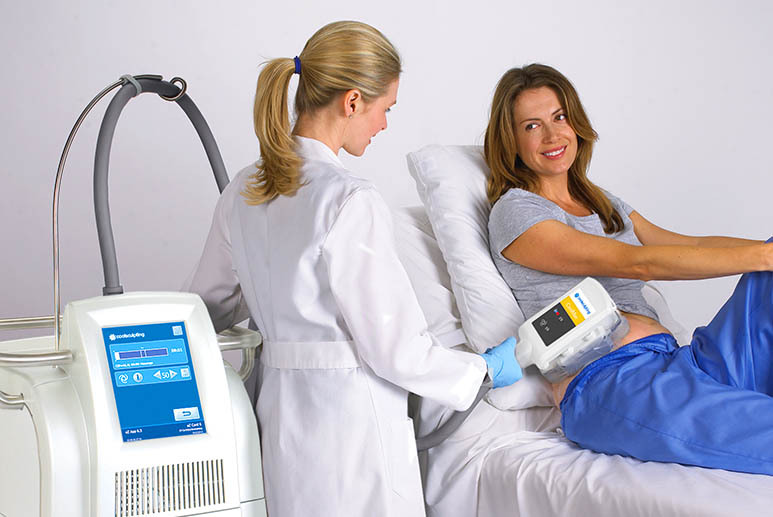 Coolsculpting is the latest and greatest in terms of effectively eliminating unwanted fat cells in targeted areas. The coolsculpting machines at our clinic offer the most advanced technology available to treatment problem areas efficiently, so that you can get the body and look that you’ve always wanted. When it comes to coolsculpting in Orange County, there should only be one treatment center that you think of. The concept that cold lasers can affect fat led was a novel idea, and the innovative process was developed and perfected by scientists Massachusetts General Hospital in Boston, which is a teaching affiliate of Harvard Medical School. CoolSculpting safely delivers the precise level of cooling to effectively target the fat cells underneath the skin, gently removing them in a natural way. The fat cells are crystallized during the coolsculpting treatment then die. Over time, your body processes the fat naturally and eliminates these cells, leaving a more toned and sculpted you. 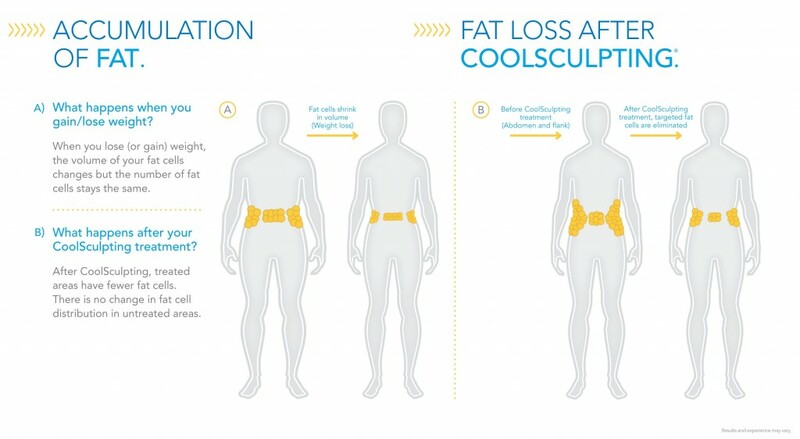 CoolSculpting is a non-surgical procedure that uses a controlled device to freeze and destroy fat. Fatty areas are gently pinched between the CoolSculpting applicator, which cools the area to a temperature that causes fat cells to crystallize and die. This treatment isn’t intended for massive weight loss, but for treating problem areas like loves handles, stomach rolls, and arm fat. The CoolSculpting procedure can help both women and men get rid of those stubborn bulges, for good. Like the fat in those pesky love handles that nobody really loves, or that double chin you see in the mirror every morning. It’s easy to get started in your CoolSculpting journey to a slimmer you. Your first step will be scheduling a consultation. With coolsculpting, you can effectively reduce fat on targeted areas of your body. Additional sessions may be required to further your results. At our clinic, you will be treated with a professionally trained coolsculpting specialist to help build you a custom treatment plan for the areas that you want to target. Coolsculpting is completely non-surgical. 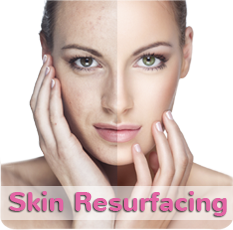 Immediately after your treatment you can return to work or other normal activities. In the days and weeks that follow your coolsculpting treatment, your body will naturally process and eliminate the fat cells that were treated. After the fat cells disappear from your body, they are gone forever!